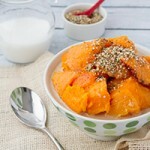 Paleo porridge made with roasted butternut squash and masala chai milk. Also safe for gluten-free, dairy-free, and vegan eating styles. I went (primarily) grain-free a couple of months ago in an attempt to reduce bloating and digestive issues. A sweet potato is no longer a sweet potato, it’s a bun. A leaf of lettuce is no longer for a salad, it’s a guacamole scoop. 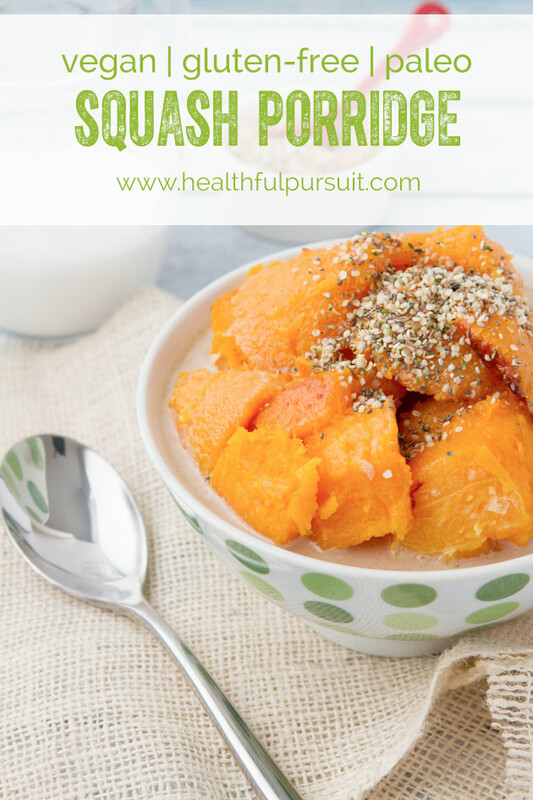 A butternut squash isn’t just soup… it also makes a great base for porridge! 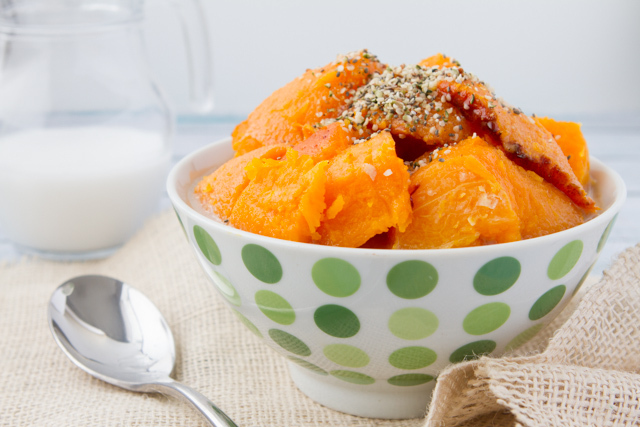 This recipe is one that just about everyone in your life can enjoy no matter their food allergies, sensitivities or eating style. Because I believe that it is possible for women to live a liberated life on a restricted diet. So, preheat your oven, grab a squash, and let’s get making some porridge… masala chai style. I shared this recipe on the blog, Tasty Yummies today. Go HERE to grab it! Have you transitioned to a different eating style that required that you get more creative in the kitchen? What challenges were you faced with? How did you overcome them?